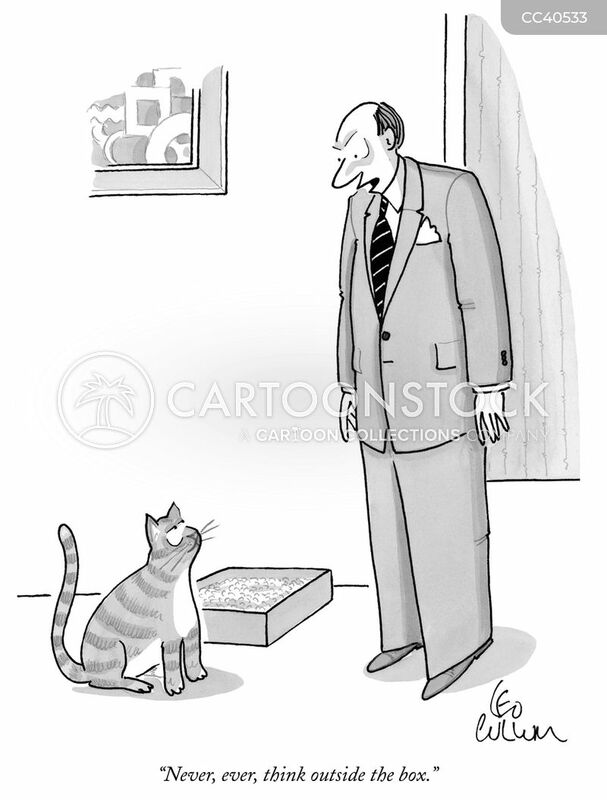 "Never, ever, think outside the box." 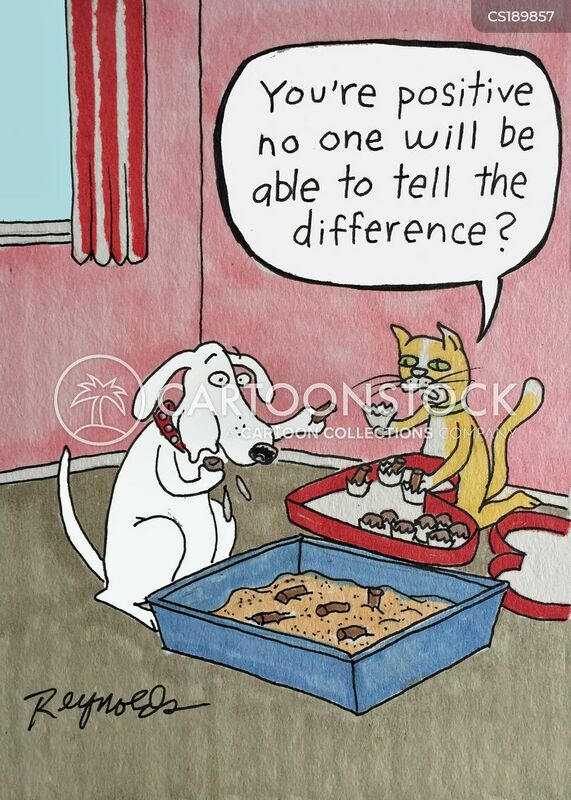 "You're positive no one will be able to tell the difference?" 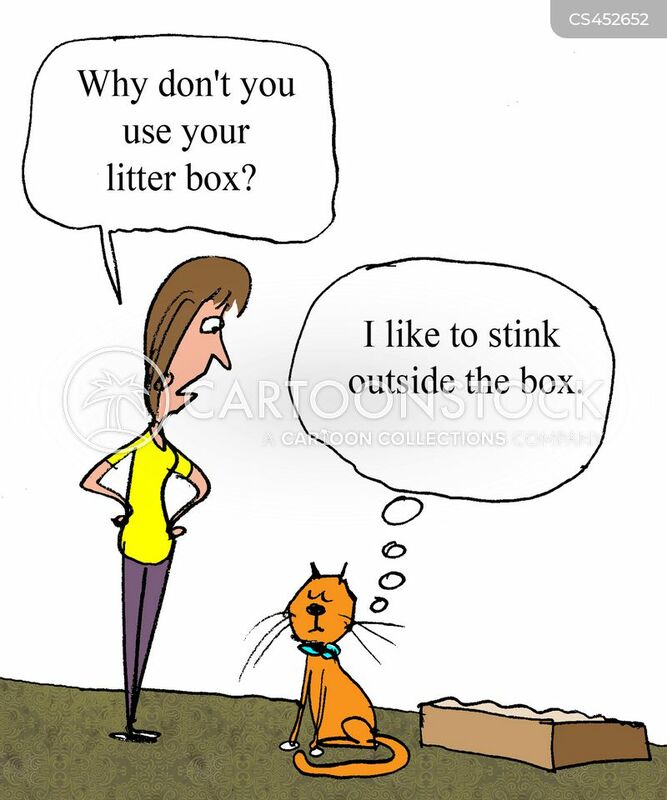 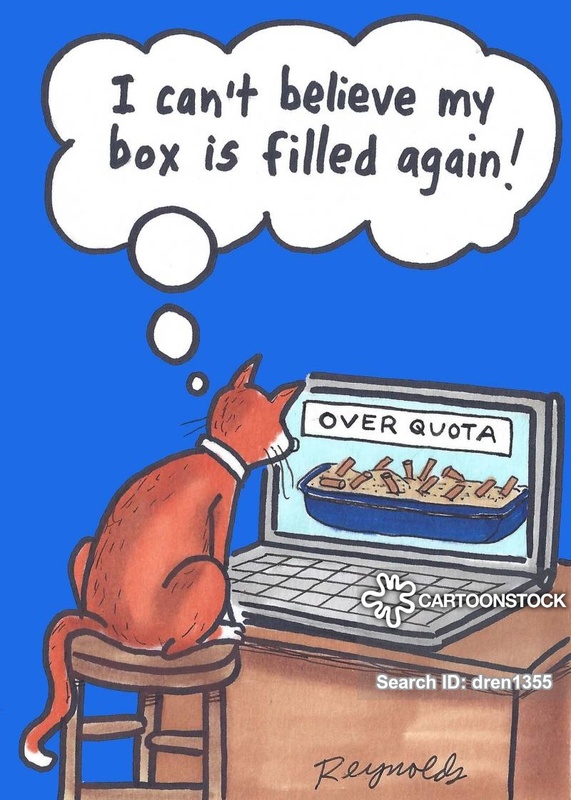 "For once can you stink outside the box?" 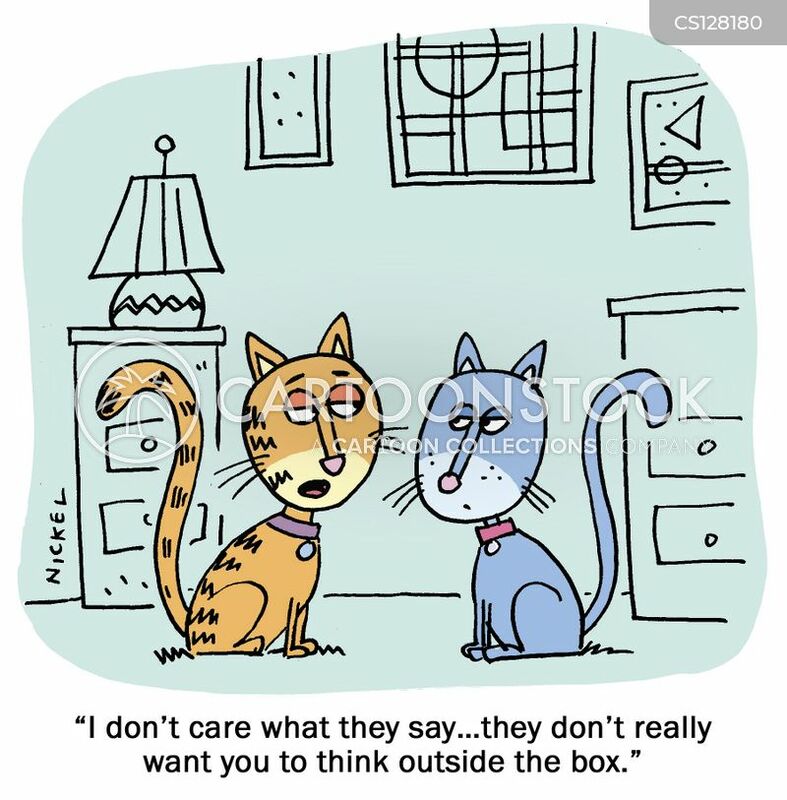 "I don't care what they say...they don't really want you to think outside the box." 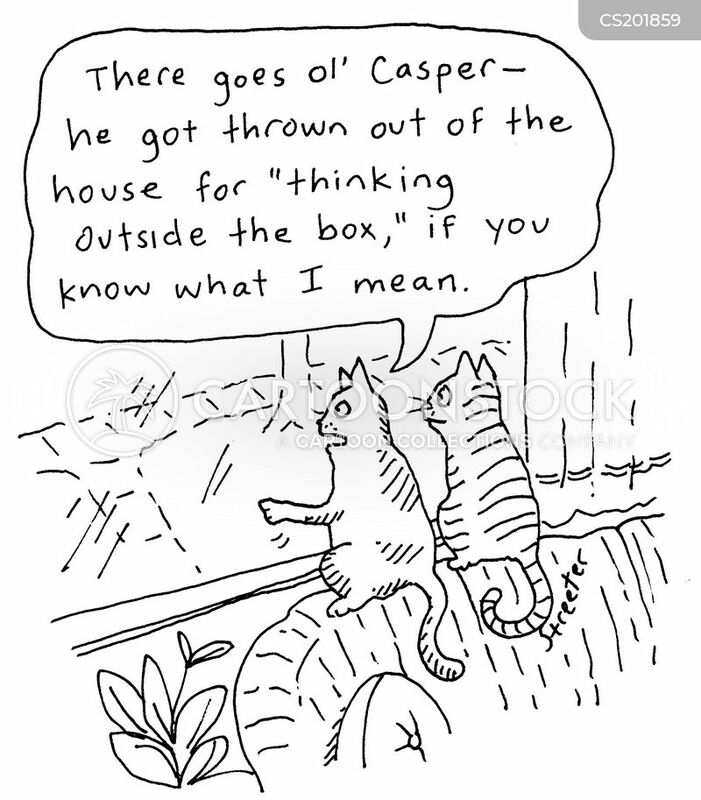 "There goes ol' Casper - he got thrown out of the house for 'thinking outside the box', if you know what I mean." 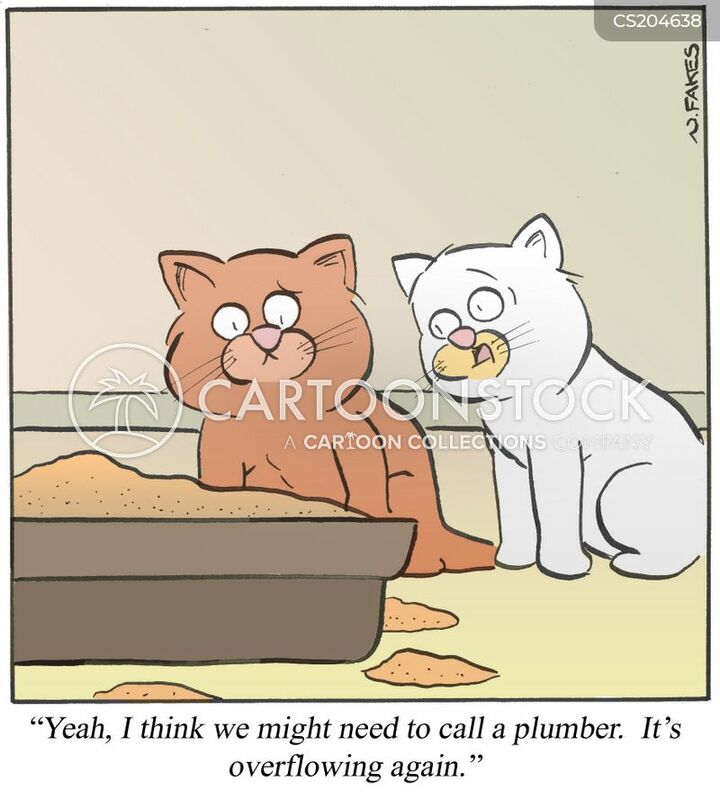 "Why don't you use your litter box?" 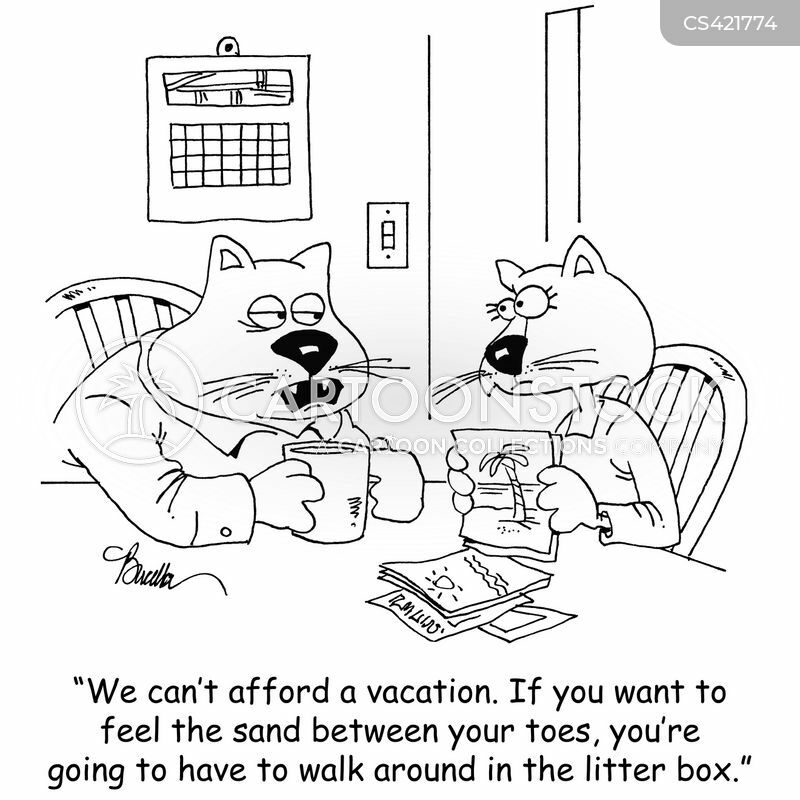 "We can't afford a vacation. 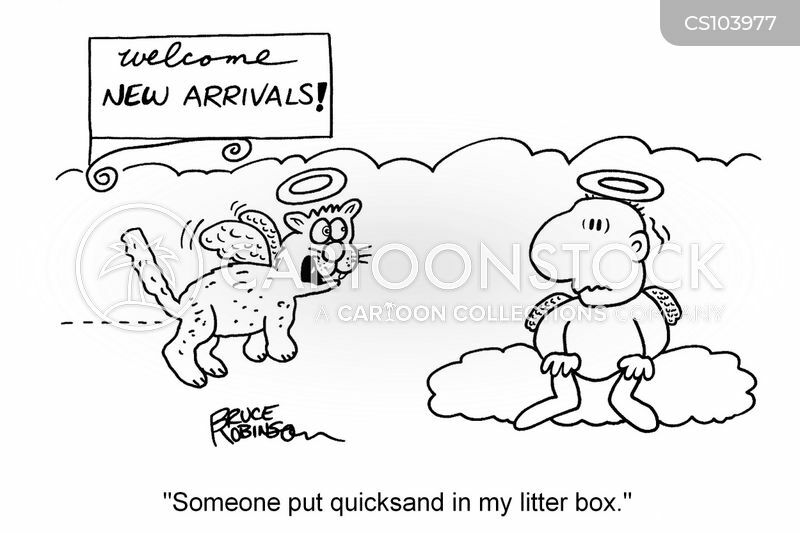 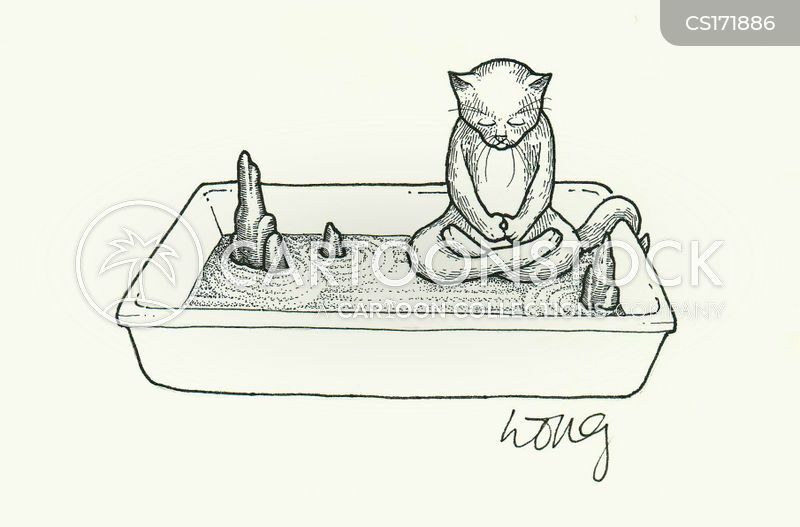 If you want to feel the sand between your toes, you're going to have to walk around in the litter box." 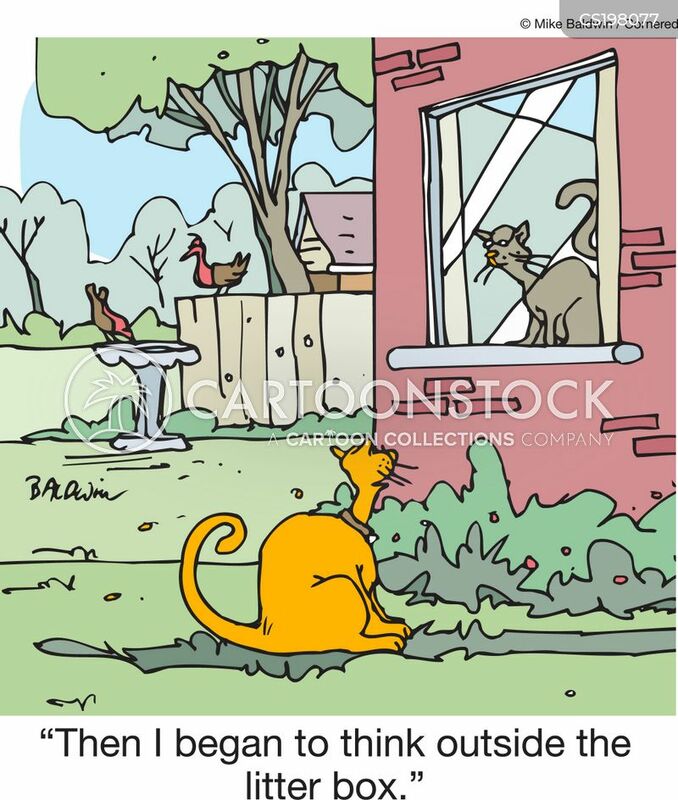 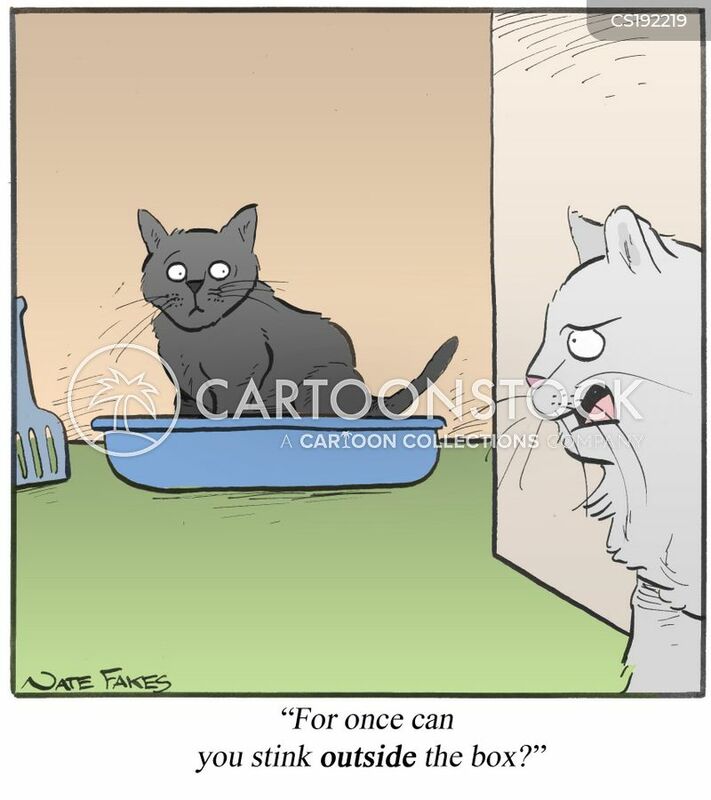 Human and cat both have litter covers. 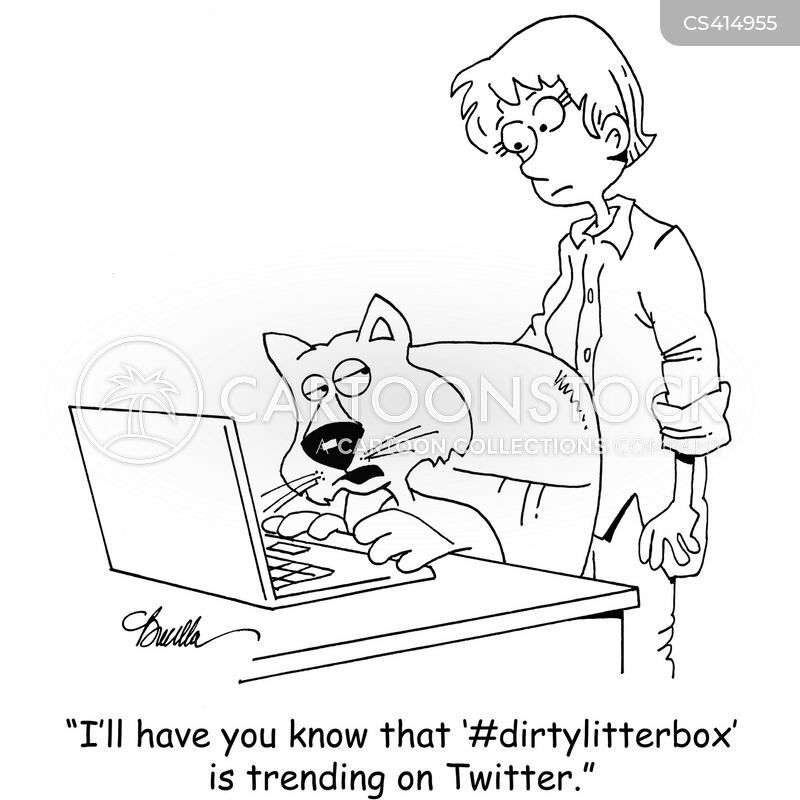 "I'll have you know that, '#dirtylitterbox' is trending on Twitter." 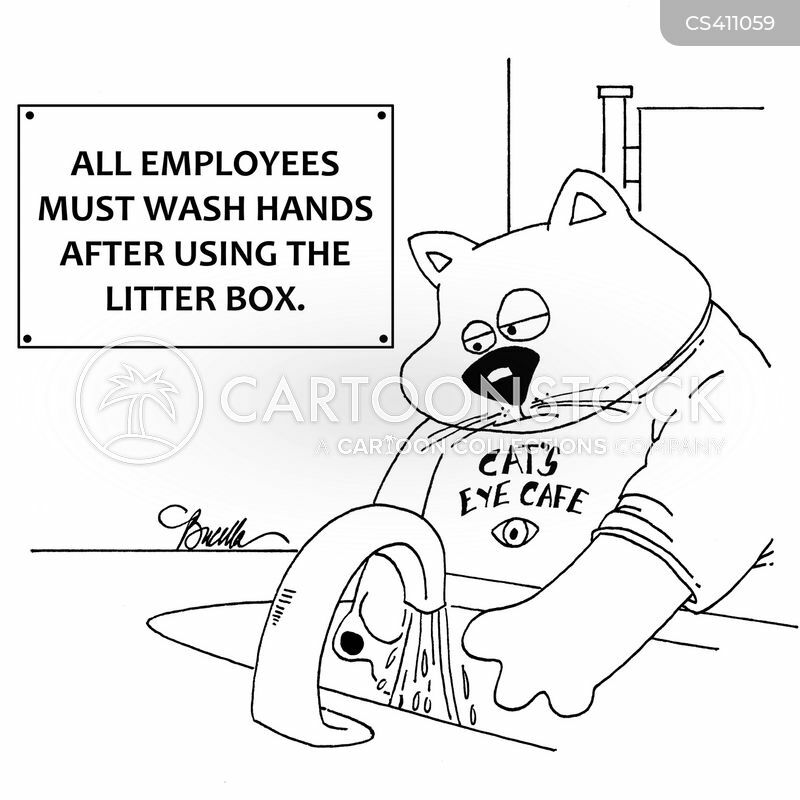 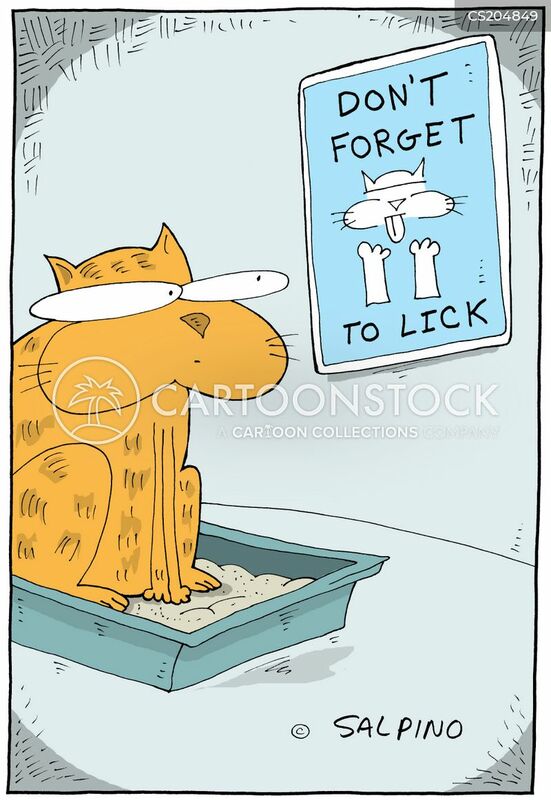 All Employees Must Wash Paws After Using Litter Box. 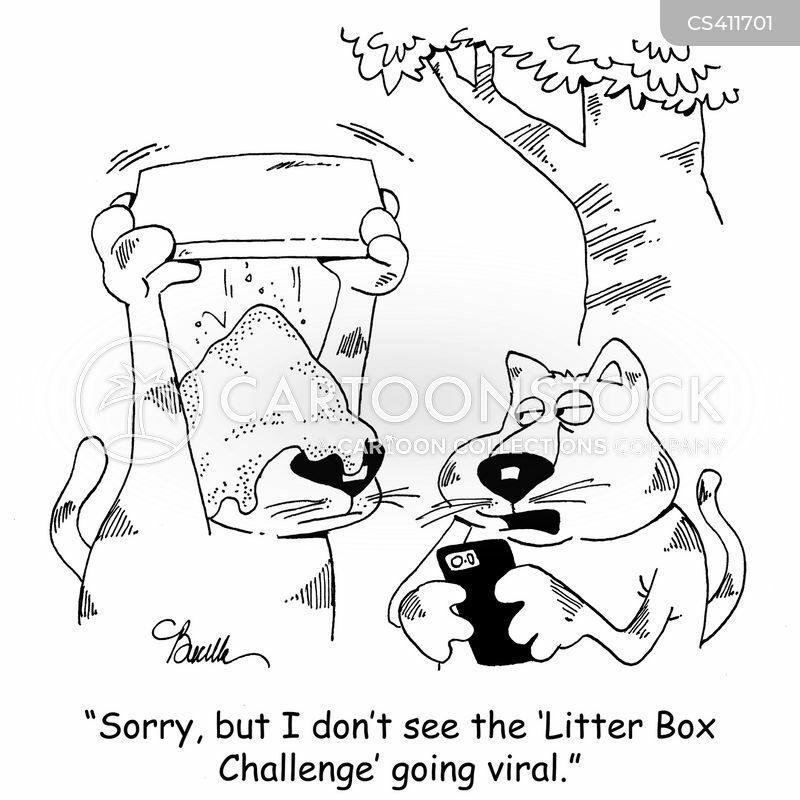 "Sorry, but I don't see the 'Litter Box Challenge' going viral." 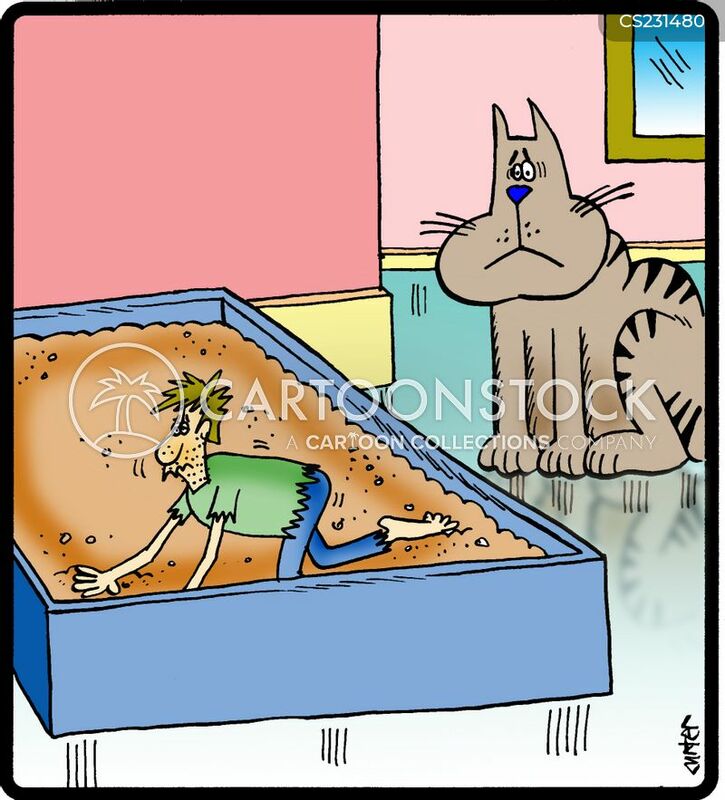 Guy stranded in litterbox desert. 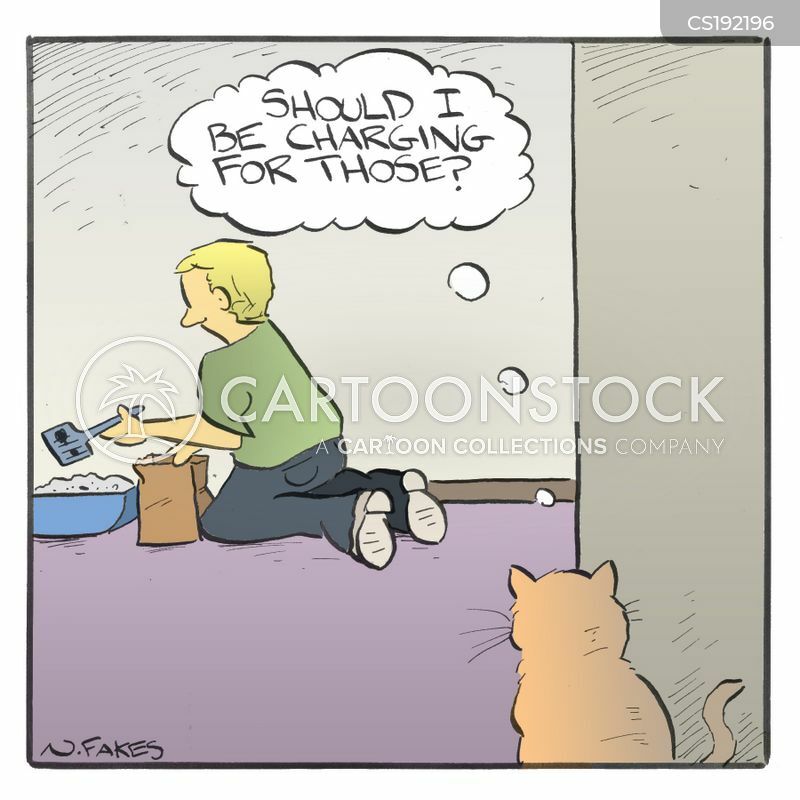 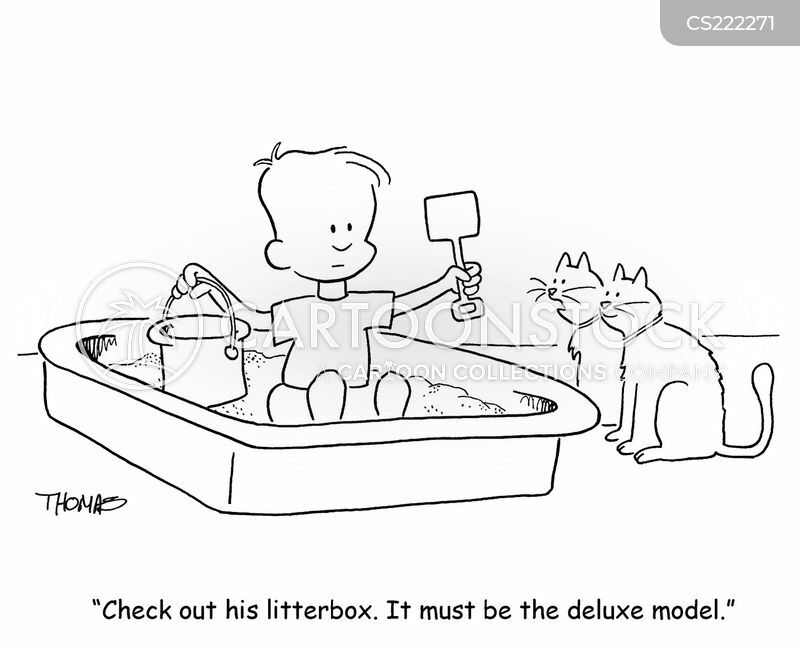 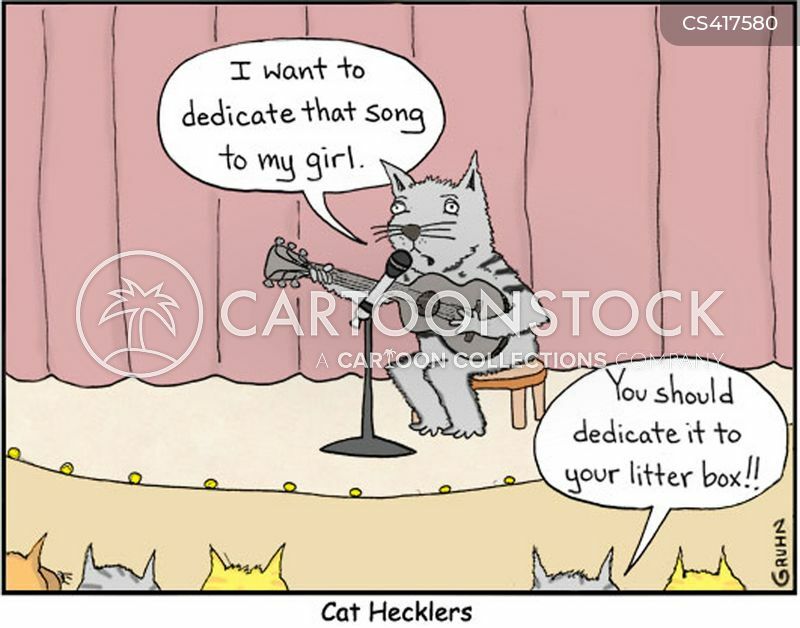 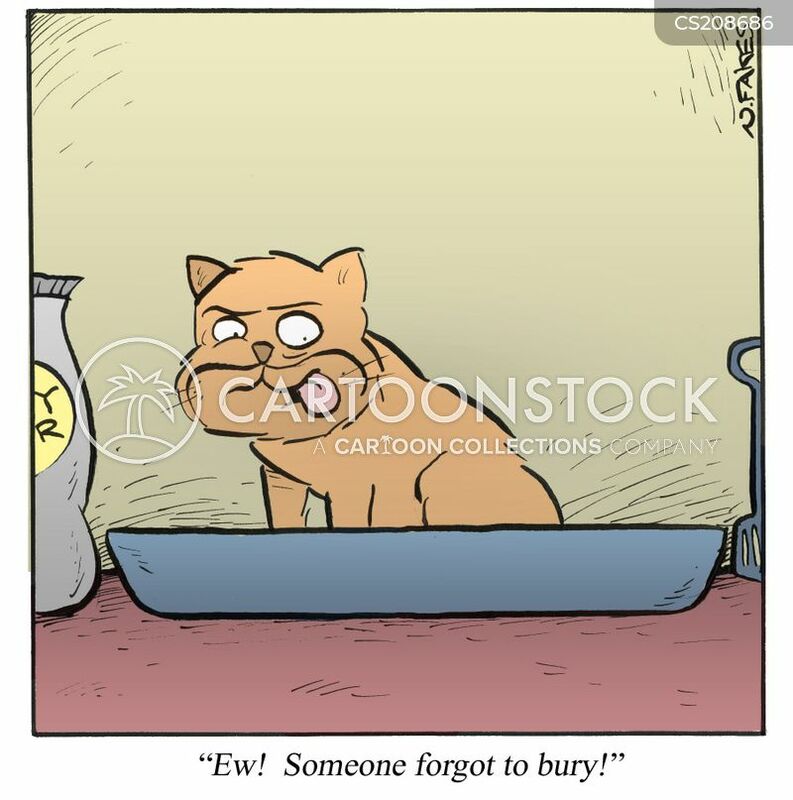 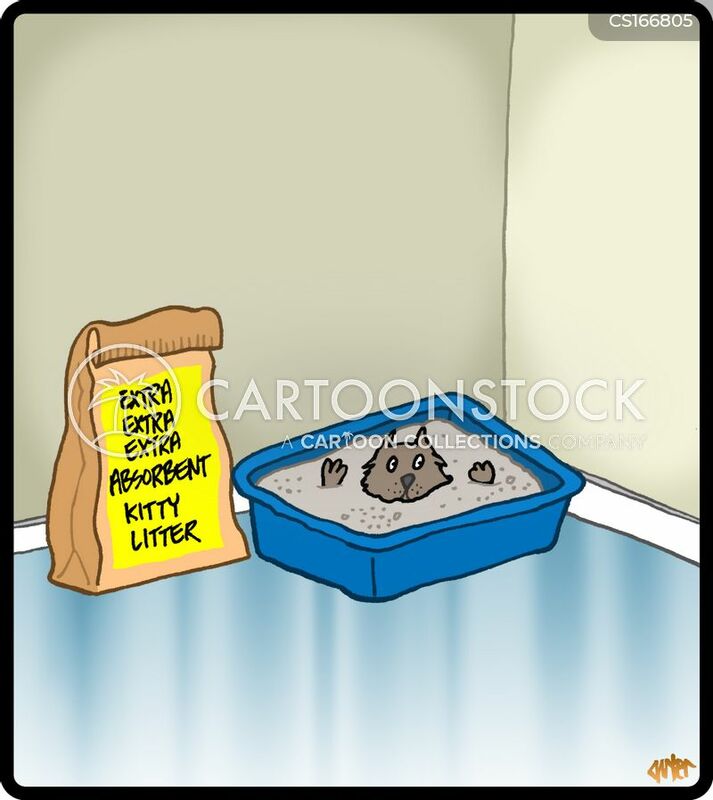 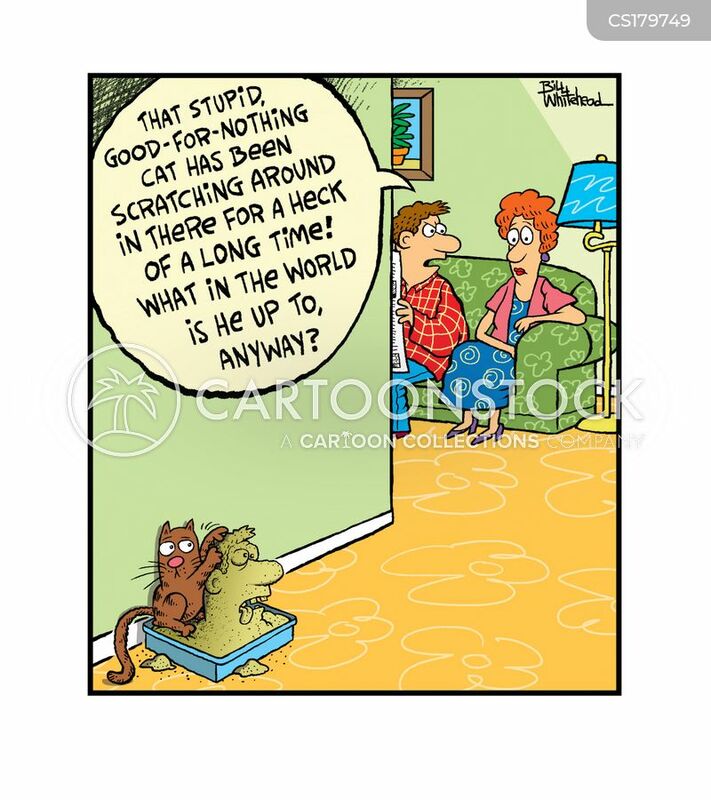 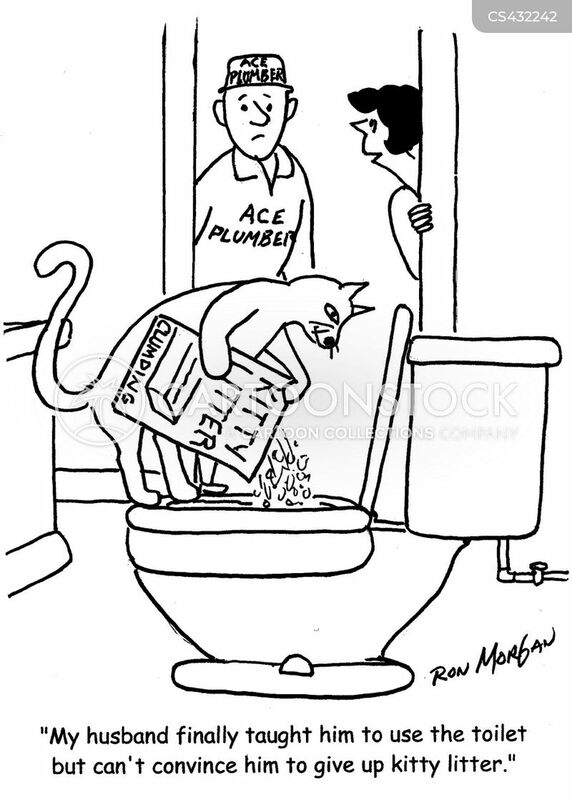 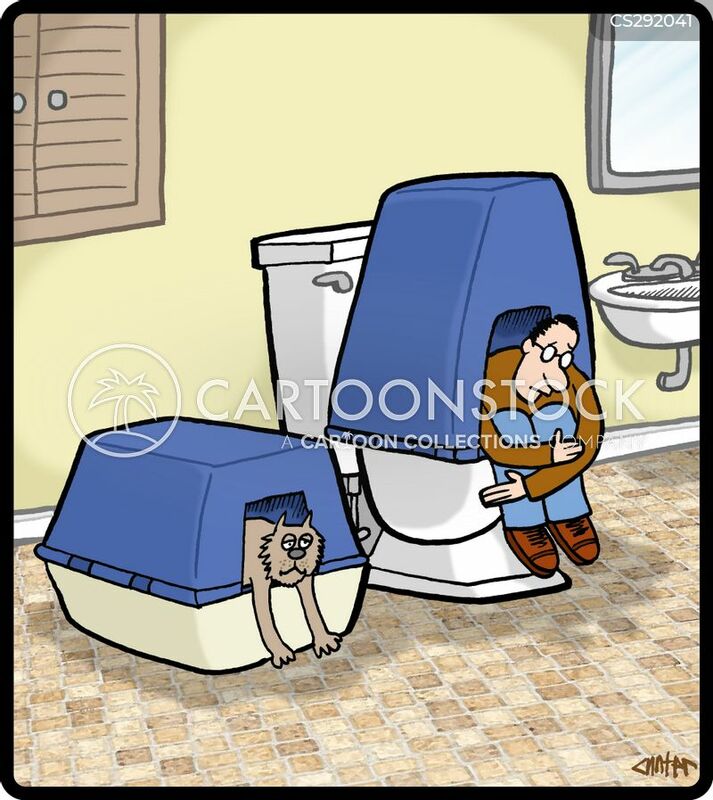 "My husband finally taught him to use the toilet but can't convince him to give up kitty litter."